A Disney rep has confirmed that Warren Spector's Junction Point Studios is no more. The word slipped out a couple of weeks ago that Epic Mickey 2, despite being released on virtually every major non-handheld gaming platform on the planet, bombed badly, just barely breaking a quarter-million unit sales over the holiday season. That kind of underperformance is never good for a studio's future and Disney's very high-profile acquisition of Lucasfilm last year, which included established game developer LucasArts, made the Junction Point situation even murkier. And now things are looking really bad, as Star Citizen developer Roberts Space Industries has tweeted a farewell message to the studio. "Second 21 gun salute for a studio in 7 days," it says. "Fare-the-well Junction Point! We hope that you all find new studios soon!" There's been no official word from either Disney or Junction Point Studios, but under the circumstances it would not be a terribly surprising development. We'll update as more information becomes available. UPDATE: Disney has now confirmed that Junction Point has indeed been shuttered. "It was with much sadness that we informed our teams today of changes to our Games organization, which include the closure of Junction Point Studios. These changes are part of our ongoing effort to address the fast-evolving gaming platforms and marketplace and to align resources against our key priorities," a Disney spokesperson said. 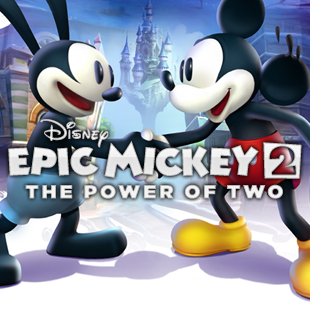 "We're extremely grateful to Warren Spector and the Junction Point team for their creative contributions to Disney with Disney Epic Mickey and Disney Epic Mickey 2."